Super Eagles manager Gernot Rohr has defended his call-ups for the Africa Cup of Nations qualifying match against Seychelles plus the friendly with Egypt, saying that he invited the most in-form players after considering the fact the Olympic Eagles were also involved in two crucial U23 AFCONQ vs Libya. According to the German, Dream Team VII stars Azubuike Okechukwu and Villarreal's Samuel Chukwueze were initially named to the Super Eagles squad for the two games but he had to strike their names off the roster because coach Imama Amapakabo wanted to utilize the duo against Libya. ''We believe all the time to call the best players. Because of this special situation of the U23s at the same time, in my first list I had Chukwueze and Azubuike and speaking with the U23s coach Imama, who is also my assistant, we decided to let two players for his team and one of the other players in our scouting list is also in the team for the U23,'' Rohr said at Thursday's press conference. ''That's why, perhaps, some of the players who deserve to be with us are not here but are with the U23s. ''We want to qualify for the Olympics of course, we have three very exciting games because the Seychelles game is very important for us to stay first in the group and on Monday second game against Libya for the U23 and the friendly against Egypt, so a lot of work to do. 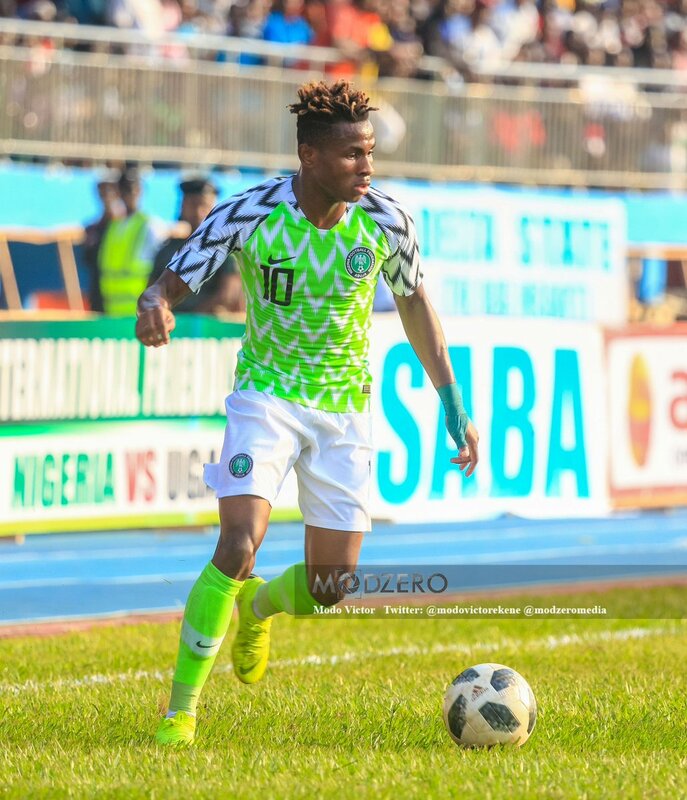 Both Azubuike Okechukwu and Chukwueze have debuted for the Super Eagles and went the distance as the Nigeria U23s surprisingly lost 2-0 to Libya on March 20.